Property Law - When is it Illegal for a Municipality to Disconnect Water? The South African Constitution guarantees a right of access to water (but not a right to water itself). What this means is that the South African Government (through municipalities) is obligated to provide access of water to everyone in South Africa, where it has the financial and infrastructural capacity to do so. The Constitutional Court has confirmed that the realization of this right is dependent on available resources, which means that there is no absolute right of access to water and no one can simply demand access to same unless a municipality has the means to provide it. Access to water can be interpreted to mean many different things dependent on the context. In an instance where a person is living in an urban environment with pre-existing water infrastructure (i.e. pipes have already been laid to the property in question, and it already has a municipal supply of water), this right will normally be understood as a right to receive flow of water through the municipal pipes. 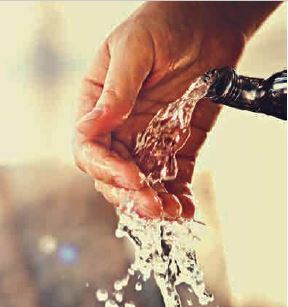 In a rural context, however, where there is no municipal infrastructure (or very little municipal infrastructure) this right could be interpreted as a right to draw water from a well or to draw water from a communal tap or another communal water source provided by the municipality. In most municipal jurisdictions business consumers are not afforded any free water because they don’t enjoy the same constitutional rights (of access to water) that natural persons (individuals) do. Where the municipality does not provide business consumers with any free water, it is lawful for a municipality to terminate the supply of water to a commercial property entirely for non-payment of outstanding municipal debt , provided that the municipality has followed all of the relevant laws relating to giving of notifications of the disconnection, and the resolution of any dispute in relation to the amount outstanding on the account , before the disconnection takes place. Because natural persons (individuals) are the bearers of the rights contained in the Constitution (and in particular of the right of access to water), municipalities which have the financial and infrastructural capacity to provide free water to persons living in their jurisdiction often do this by means of providing for a stipulated free allowance for each residential household in their water tariffs. This free allowance is meant to be delivered to a residential consumer (or rather more specifically to a residential household) through the municipality’s existing water infrastructure and once a municipality has pledged to provide this free minimum supply to everyone resident within its jurisdiction, termination of this supply becomes unlawful. In an unreported case before the Gauteng Local Division (Johannesburg Division) of the High Court, known as a Body Corporate of Edina Court v City of Johannesburg Metropolitan Municipality, case number 2017/09362, the court declared that it was unlawful for a municipality to terminate the supply of the 6 free kilolitres afforded by the City to each household per 30.4 day month. This has set a precedent that can be used by person’s who have been disconnected entirely and are no longer receiving their free water supply. It must be noted, however ,that this order was obtained by the Body Corporate of Edina Court on an unopposed basis, and another court deciding the mater on an opposed basis could come to a different finding(that would ‘overrule ‘this order). It is also very important to note that as of 01 July 2017, the City of Johannesburg changed its water tariffs and no longer offers free water to all of its residential residents. The only residents to whom this is still available are indigent persons (provided that they have registered with the City as indigent).Thus, the Edina Court order could still assist persons living within the jurisdiction of other municipalities that offer free water, and to indigent persons in Joburg who are entitled to free water, but it can no longer be applied by non-indigent residents living in the City of Johannesburg. Very Important Caveat- Take Note! Note , however , that the municipality would be entitled (if it so chose) to deliver the free water supply to the property in a manner other that through the pipes –for example it could deliver bottled water to the property or fresh potable water using a water truck. Provided that the municipality continued to supply the free water that it has undertaken to, the disconnection of the main water supply through the existing water infrastructure (pipes) would then not be unlawful.